Not all Dues are Created Equal. A real-life lesson that may have you investigating your monthly HOA payments. Here’s a real-life example that we came across in our days of managing condominiums. If you live within a multi-product homeowners’ association, check your declarations and investigate your fee structure. Equal dues across all property types may just be within your "bundle of rights" as a property owner. For this example, the name of the association has is changed to Palm Beach Condominiums and the names of the litigating parties are altered. However, the facts are real, and the verdict and interpretation are worthy of review. It may have you investigating your "bundle of rights" as an property owner and asking your association for Equal Dues across all home types. The Palm Beach Condominium Association, Incorporated, a homeowners’ association, formed for the operation of Palm Beach condominiums and villas and assessed each unit for maintenance fees. The association required condominium owners to pay higher monthly fees than villa owners. This payment disparity was originally conceived and further rationalized because the condo building was larger, had more units, and required more frequent repairs than the single villa units. The provision for payments was in the bylaws and had been voted on by owners and approved by a majority. Mr. Jones, a condominium owner, refused to pay his fees and claimed the assessment was inequitable and unfair. What should the HOA do about this dispute? How can the HOA rely on the information to adequately address Mr. Jones’ refusal to pay his required monthly fees? Concerning the case against the Palm Beach Condominium Association, Mr. Jones’ argument was upheld by the courts, because it is unlawful to change or take a condominium parcel without the owner’s consent. Given this notion, it is critical to specify the definitive parameters of a condominium parcel. Does a condominium parcel include the owner’s share of the common expenses? Legally, a “condominium parcel” is inclusive of an undivided share in the common elements attached to or accessed by the units or used with the unit for its benefit. Therefore, it may be concluded that the condominium parcel that was originally purchased by the owner included more than only the unit – it also included all property appurtenant to the unit, thereby expanding the definition of the condominium unit to include expenses related to the common property. So, can any increase or decrease in the share of costs (not simply the amount) be considered an unjust alteration of the condominium parcel? At the time that Mr. Jones purchased the condominium unit, the association’s Declaration must have specified that he would become the owner of an equal share of the common expenses. Unless the Declaration explicitly states that an owner’s property may change without the owner’s consent, it should be concluded that all owners had a right to rely on the fact that the predetermined expense obligations could not and would not be altered without individual consent – not simply with approval from the majority of condominium owners. If a majority rule outweighed the individual property rights of each owner, then the rights of the minority view would always fall victim to the objectives of the majority. This skewed right directly violates the "bundle of rights" afforded to all property owners. Although sharing common expenses based on more localized needs of each building may seem fair in theory, this was not the structure contemplated at the time that the association established its governing documents. 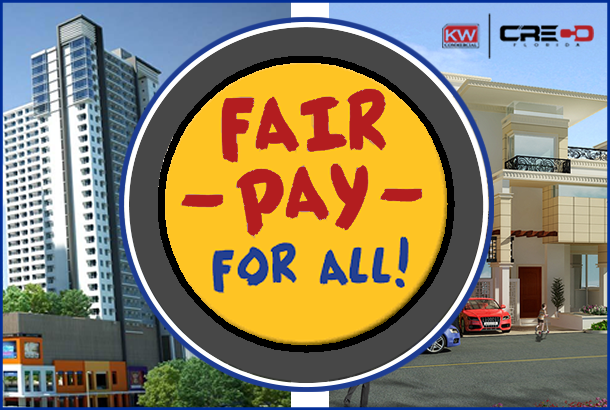 What should be done if repairs are needed for the villas and the apartments do not wish to pay? Surely then the owners within the villas would not contest an equal division of expenses. Even though the Association ratified an amendment, the individual owners who did not join in the execution of the amendment were, ultimately not obligated to pay more than the share of common expenses allocated in the Declaration in place at the time that the owner purchased the condominium parcel. A win for Mr. Jones. A loss for the owners of the villas. A lesson for us all.